Neptune now is considered as the most distant planet after Pluto is not included anymore as a planet. Neptune was discovered in 1846. 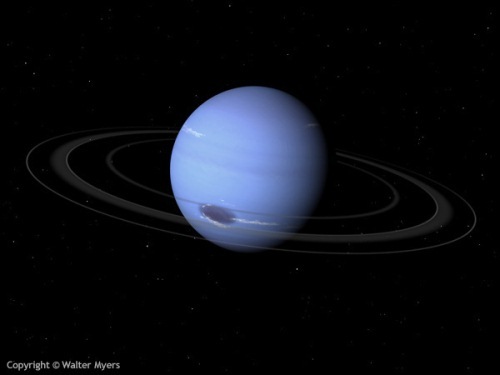 The smallest of the gas giant in the solar system is taken by Neptune. Even though is smaller, but it has a massive body. Compared to Uranus, Neptune is denser. Compared to earth, the gravity surface of Neptune is alike. It is 17 percent higher gravity than earth. The things will be pulled down when you throw a thing upward. The mass of Neptune is 17 times of the mass of earth planet. If you want to know other info about the planet in solar system, see saturn facts. 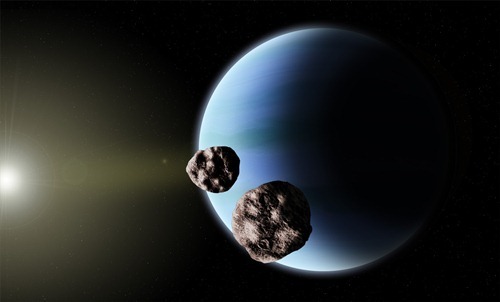 There are many controversies surrounding the discovery of Neptune. Many people believe that Galileo is the first person who saw Neptune. However, Johann Gottfried Galle is considered as the one who took the credit of Neptune discovery in 1846. Find the info about the discovery of Mars in Planet Mars facts. 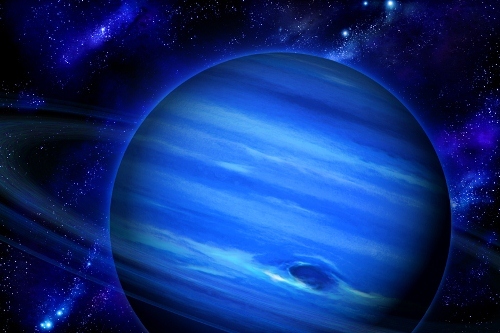 Neptune gains the name of the coldest planet in solar system. Since Pluto is not a planet anymore, it is not the coldest planet anymore. It has the temperature around -221.4 degrees Celsius or 51.7 Kelvin. 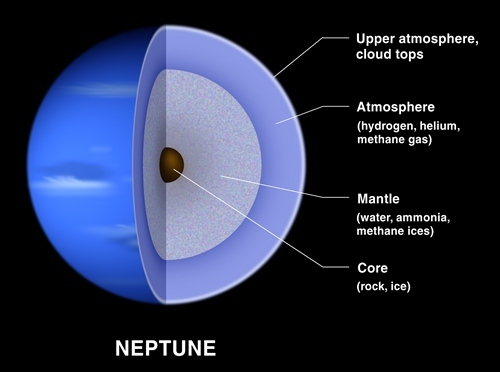 Neptune is very cold, but it also has the strongest wind in the solar system. The wind can blow so fast because of the flow of fluid gases and cold temperature in the planet. One of the Neptune’s moons is Triton. The temperature in the moon is colder. It is the largest one from the 13 moons of Neptune. In the solar system, triton is the seventh largest moon. The temperature can reach – 235 degrees Celsius or 38 Kelvin. During the research done by voyager 2 spacecraft, it is recognized that triton surface is very active. The liquid nitrogen is erupted from the geyser and volcanoes. The scene is captured by voyager 2 in 1989. NASA’s Voyager 2 spacecraft visited Neptune once. The flight occurred on 25 August 1989. The voyager passed the north pole of the planet for about 3000 kilometer. By visiting Neptune, scientists can learn about the magnetosphere, rings, atmosphere and moons of Neptune. It a sad news that NASA has not planned any more visit on Neptune. It probably will take longer time for NASA to launch their new spacecraft. People estimate that it will be happened in 2016 or 2030. By sending more spacecraft, people will know more about Neptune. It is a big research that kids and adults can learn about universe. 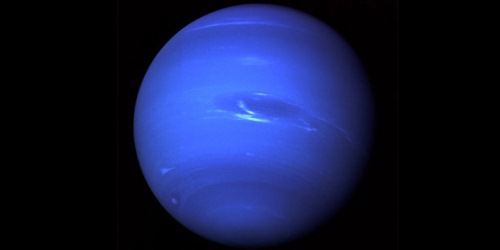 Have you entertained by reading facts about Neptune?